Fayza is our Mentor of the Month for August 2018! She is a 21-year-old student studying Social Development and Legal Studies at the University of Waterloo. She has been a volunteer in our In-School Mentoring program at a local Elementary School for 5 months and came to us with an incredible list of volunteering experience at great organizations including Canadian Cancer Society, Heart and Stroke Foundation, The Terry Fox Foundation, and World Vision—to name a few! When we asked her to describe herself, it became so clear why she’s an amazing Mentor. “I absolutely love what I study because it gives me the tools necessary to deal with some serious day to day situations. But other than my love for academics, I have a huge passion for music, dance, swimming, hiking, biking and volunteering.” Her passions make her such a relatable Mentor, and her education makes her incredibly well-equipped to make a really big impact on the lives of Littles—we’re lucky that she chose to volunteer as a Big Sister as well! Having grown up interested in the Big Brothers Big Sisters program since about the age of 8, but never having been enrolled in it, Fayza remained intrigued in getting involved. She saw the positive impact from the outside that BBBS programs have on children and their futures and wanted to be a part of it—and we’re so glad that she did! I realized that having an older person to look up to can provide a child with hope for a really bright future. I also remember one of my heroes (Barack Obama) praising the work of Big Brothers Big Sisters, and the way he stressed the importance of being a Mentor helped me to realize that this was a role I truly wanted. It’s such crucial work that gets done here because it’s a part of shaping the next generation, and I absolutely love being a part of that! We hope that the way Fayza’s hero inspired her to become a Mentor for local youth will resonate as she becomes a hero herself for these children. Fayza’s impact on our Littles is evident, but can’t be put into a day-to-day, because she’s always creating and coming up with new activities and experiences. Whether its trying out new games or science experiments or scavenger hunts, she fosters adventures. She really believes that variety is crucial in interacting with her Mentees, and its all about providing them with experiences that they may not have otherwise. It means teaching as well as learning. It is an absolutely beautiful experience to be a part of a child’s life and to be able to advise them and guide them but what’s more amazing is the opportunity to learn about life from their perspective. I promise you that as a Mentor you’ll never run out of lessons to learn or to teach because children are extremely bright and insightful. Overall, Mentoring means an exchange of life experiences to create an ideal experience for the child and yourself. Fayza embodies everything it means to become a volunteer with Big Brothers Big Sisters of Waterloo Region. Understanding that being a Mentor is a learning experience as much as it is a teaching experience is something we hope to ensure that all prospective Mentors and volunteers acknowledge. Not only do BBBS Mentors give something back to local youth in need of Mentorship, but they also gain valuable life experiences and learn things they would’ve never expected to. We asked Fayza if she had any advice for people looking to volunteer, and we loved her answer! “I would suggest that they get ready for an amazing life changing experience. I also suggest that they be really creative to ensure that mentees have an engaging experience. 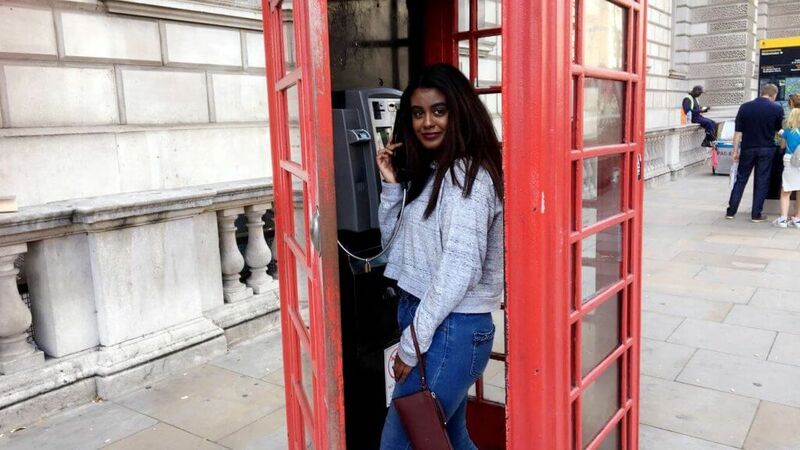 It’ll be an experience that you will remember for a lifetime and once you do it, you’re likely to do it again!” We’re so proud to call Fayza our Mentor of the Month for August, and we’re hoping that she inspires other people to volunteer as much as she inspires us!